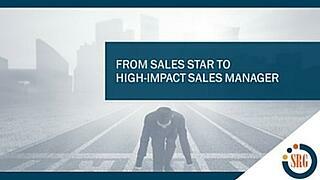 High performing sales managers have a profound impact on a company's bottom line sales results. But, too often training initiatives focus on salespeople and not a company’s frontline sales management team. In this one-hour webinar Norman Behar and Ray Makela, managing directors of the Sales Readiness Group, share best practices and strategies for creating effective sales management development programs. The Sales Readiness Group is an industry leading sales training company that helps sales organizations develop and deliver customized sales and sales management training programs.